Hi everyone! 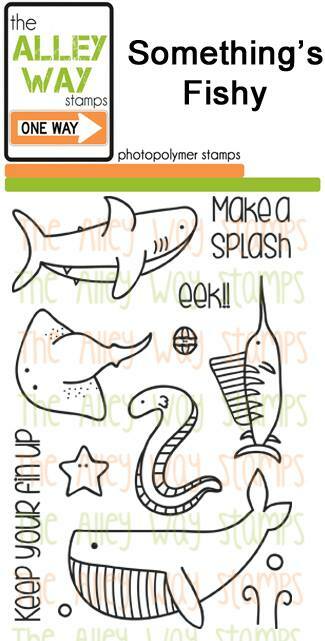 Here is my latest card for The Alley Way Stamps using the set Something's Fishy. 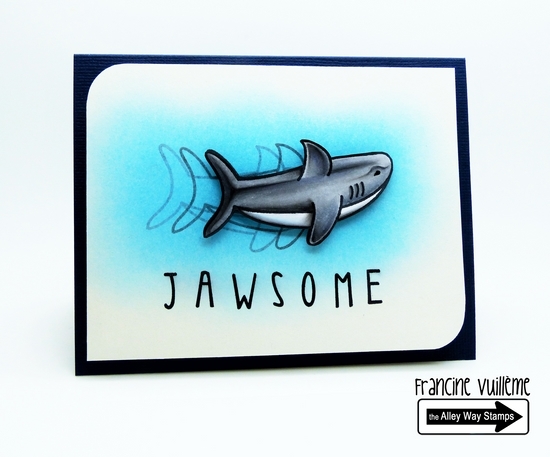 I colored the shark with Copic markers and I created the "Jawsome" sentiment with the Alphabet Soup set. 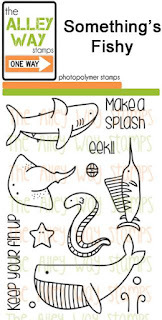 Love the pun on this card and I AGREE it is JAWSOME!!!! 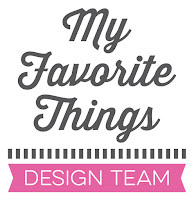 You color so well and make such smooth backgrounds!! Too fun! !